We may dream of living in mansions with rooms the size of football fields. But for most of us, that’s not the reality. We often end up in a home with at least one especially small room that usually gets given to one of the kids, often the youngest. At least that was always the way it was in our home. 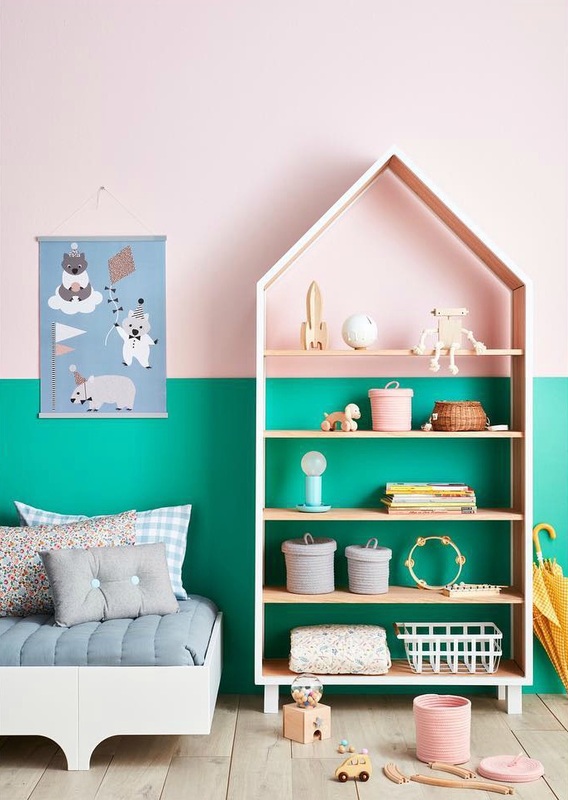 Small kids rooms are a reality for lots of us and they can be challenging to decorate especially since kids have so much stuff. The good news is those small bedrooms don’t have to mean compromise. It just means you have to plan the space a bit more creatively so that you can get everything you need in there. 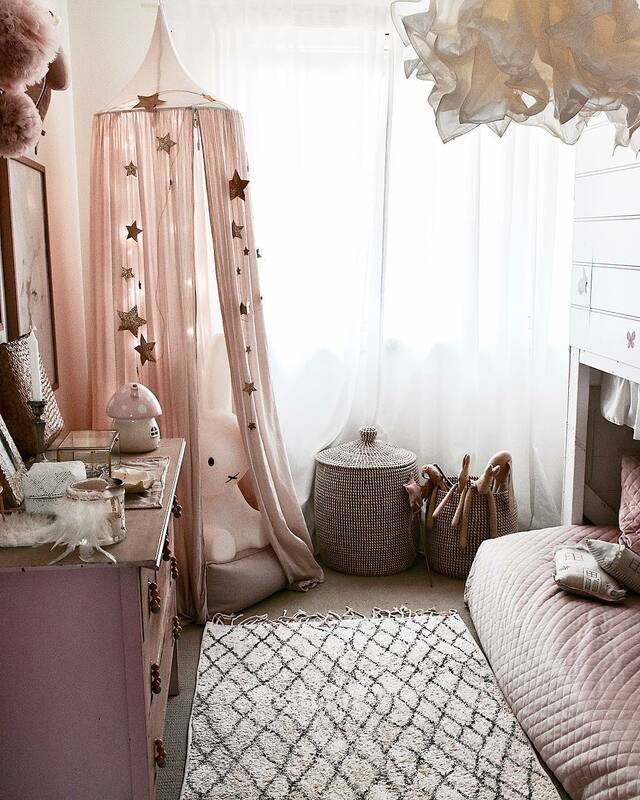 We’ve found some beautiful small kids rooms done right and there are lots of ideas to steal. Take the room pictured at the top – it’s a small and narrow space but still has plenty of character. 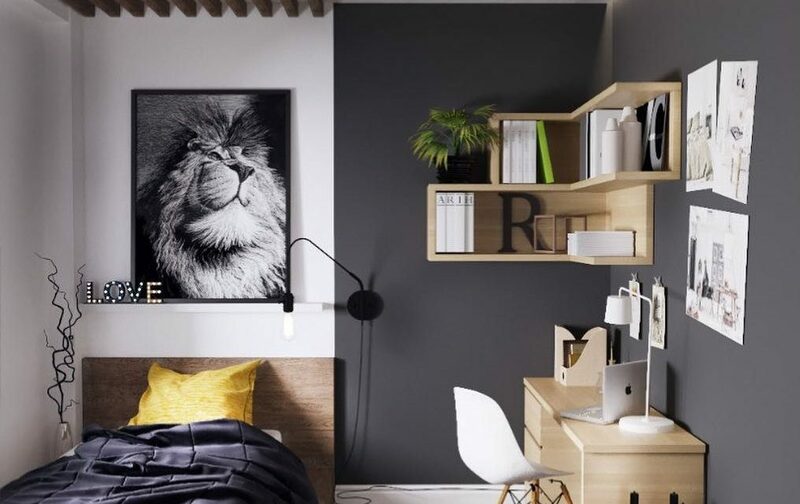 By painting the wall on the right in a different colour, it creates an illusion of 2 separate zones in this small space. It’s a simple idea and so easy to recreate in any small room. This room is not only narrow but also has sloping ceilings, which limits the space even more. Yet this room has everything that is needed. Storage has cleverly been built under the sloping ceilings and there is more storage just beyond the bed. 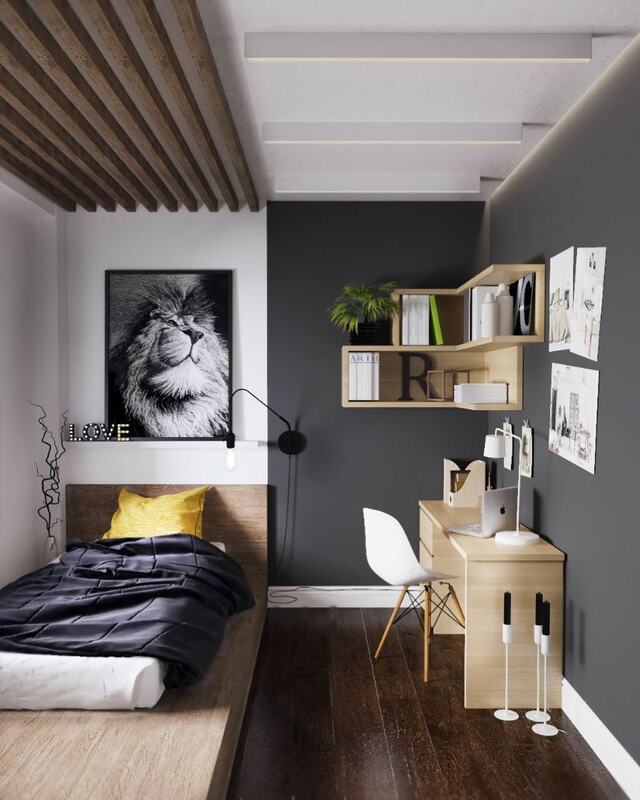 The artworks and little wall decorations all add to the appeal of this little room. This cosy little space is full of magic and charm. The idea of using a mattress placed under storage cabinets is very handy in a small space. 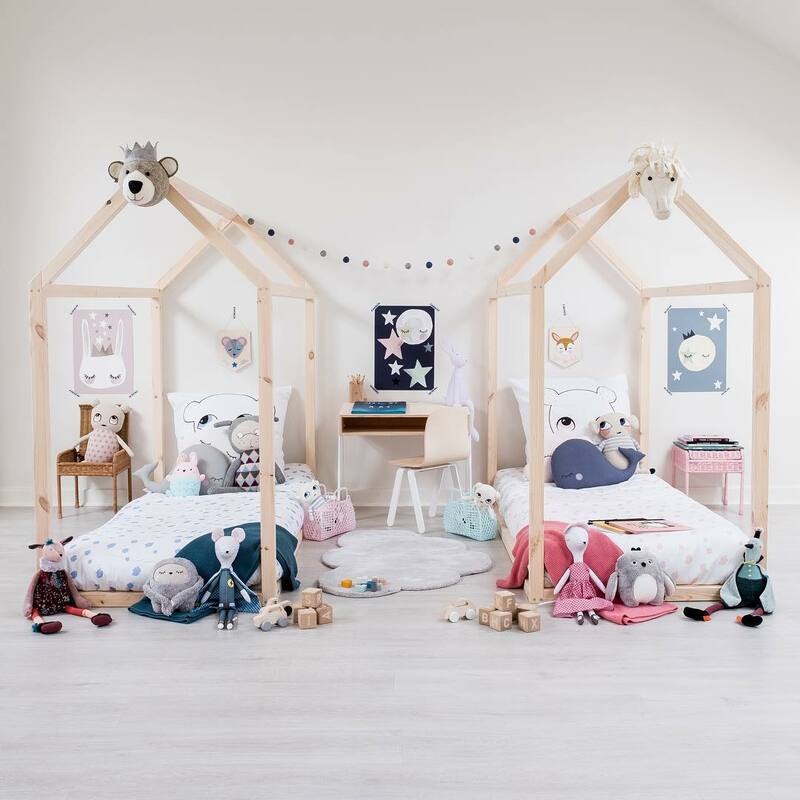 Beds take up a lot of room so if your space is really tight, it’s a great idea to simply have a mattress as kids love sleeping low down anyway. This room has plenty of storage too and a cosy little rug space to play. Sometimes we need to squeeze 2 kids into a small room. 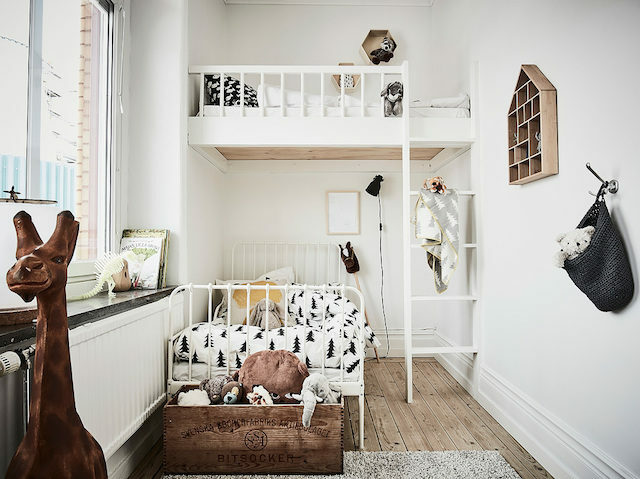 Bunk beds are one of the best solutions when there simply isn’t enough space for two beds. 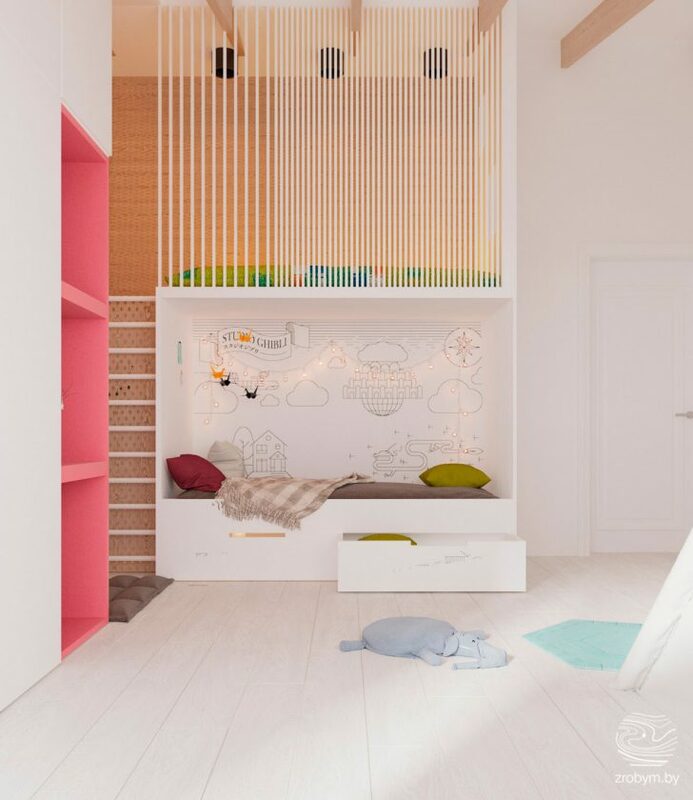 But bunk beds don’t always have to mean one big, bulky bed. 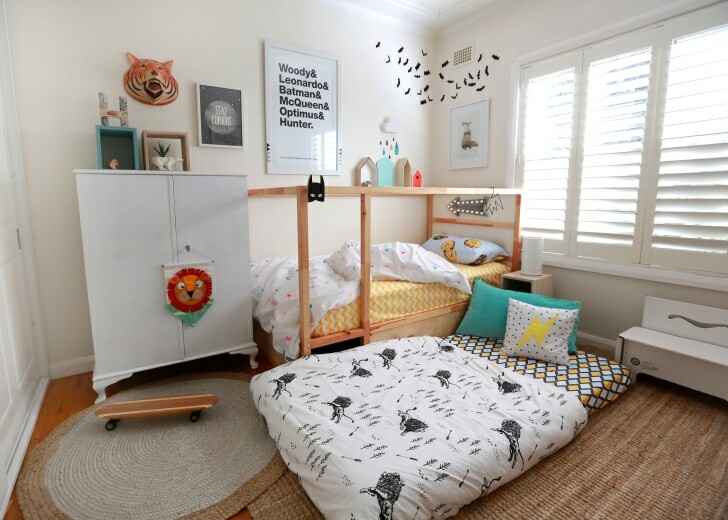 Instead, we especially like this room because they’ve been really creative with the beds and as a result, this small room has breathing space and floor space to play. Platform beds are a great space saver in small bedrooms. We especially like this idea where basic kitchen cabinets have been used to create lots and lots of storage under the bed. As the storage is low, it’s easy for kids to get, no matter how small they are. 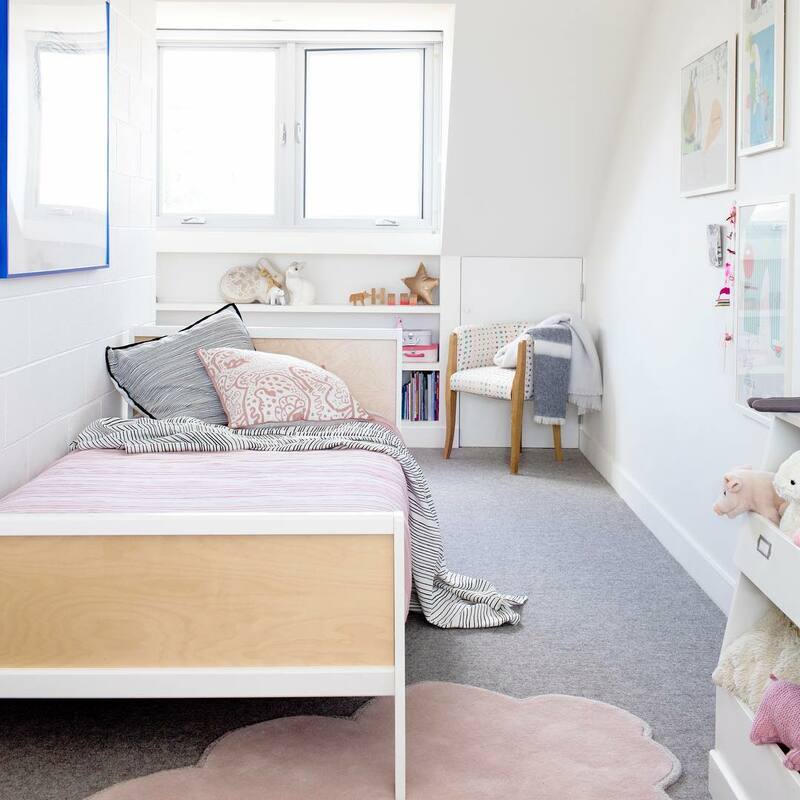 This bed looks great and ensures that there is space for all the stuff without creating any clutter in this little bedroom. Do you have an especially small room in your home? How have you decorated it?